HKM Media Ltd/Totally Parter Ltd.
HKM Media Ltd/Totally Parter Ltd collects information about our users from all our sites with the help of cookies. A cookie is a small text file which is stored on the user’s computer and used to create personal settings so our users can receive better service. You can delete cookies from your computer, but it may lead to a less satisfactory user experience on sites owned by HKM Media Ltd/Totally Parter Ltd. If you don’t want your web browser to save cookies, you can change it so that it does not in your browser settings. You can also use the web browser functions ‘private window’ and ’incognito mode’. 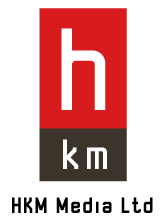 HKM Media Ltd/Totally Parter Ltd also collects personal information about subscribers to our newsletters. We collect the details that our subscribers themselves give us: email-address, and if the subscriber chooses to add them, first and second names. We also collect data about how our subscribers use our newsletters. We use this information to fulfill our agreement to send out newsletters to our subscribers. Those who subscribe to HKM Media Ltd/Totally Parter Ltd’s newsletter agree to regularly receive newsletters via email from our editorial team. Those who have agreed to receive send-outs from our collaboration partners can also receive these send-outs via email. The collected data will be saved at HKM Media Ltd/Totally Parter Ltd and our newsletter service Mailchimp. You can read about how they handle personal imformation here: Mailchimp Legal Policies. You can stop your subscription at any time by clicking on the link at the bottom of every newsletter we send out. HKM Media Ltd/Totally Parter Ltd will not pass on information and data about our users to third parties. HKM Media Ltd/Totally Parter Ltd retains the information for as long as the user continues to use our services, or until the user decides to change their settings or cease their subscription to our newsletters. If you have questions about how we handle personal information, contact us at stefan.hallenius@hkm.ie.